Is It a TOAD or a FROG? It is common for a toad to be mistaken for a frog or a frog to be mistaken for a toad. Both are, in fact, amphibians and they have similar body shapes to the untrained eye. The reality is that toads are different from frogs. Unlike most frogs, toads have dry skin, they have warts, they have crests behind their eyes and they have parotoid glands. A poisonous secretion is produced in their parotoid glands called bufotoxin. Bufotoxin can cause death in smaller animals and may trigger an allergic reaction in humans and other animals. Toads secrete bufotoxin to defend against predators, so you should avoid contact when possible. Toads come in a variety sizes; the smallest being the Oak toad or Bufo quercicus that only reach a length of 1.3 inches, and the largest being the Cane toad that can grow up to nine inches in length. The Oak toad resides in North America while its relative the Cane toad lives in Australia. A toad's diet and lifespan can vary as much as their size. Toads mostly eat a diet of insects and other arthropods but there are some species that feast on reptiles, small mammals and other amphibians. One species of toad, the Bufo bufo or Common toad can live up to forty years but most species only live a modest five to ten years. Toads can be found on every continent except for Antarctica. Regardless of where they live they generally seek out the moist, open habitats of grasslands and fields. For those of you that enjoy gardening, a toad in the garden should be welcomed from a distance as they will eat harmful insects out of your garden. Like frogs, male toads use a unique call to attract females for mating or to warn off would be male trespassers into their territory. After a successful mating, the female lays fertilized eggs that eventually hatch into tadpoles, which is also the beginning of a metamorphosis from tadpole to toad. Unlike their parents, tadpoles can breathe underwater through specialized gills and they have tails to swim with instead of legs. The tail becomes smaller over time until it disappears completely while at the same time it begins to grow legs and lose its gills and develop lungs. Although not all toads have a tadpole stage, they all need clean, unpolluted water to reproduce. During the winter, some species of toad hibernate. They do this by burrowing deep into the soil, just below the frost line. When the weather warms up they emerge to resume their toad-like activities as if waking from a good nights sleep. Really there isn't too much difference between most species of toad and most species of frog. The real difference is between terrestrial toads and aquatic frogs. Aquatic frogs have long, strong muscular back legs utilized for propelling through the water and leaping from the shoreline into the safety of a nearby pool. Toads back legs are designed for short hops and meandering walks. Although most people build vivariums for fauna; they are at root just miniature ecosystems comprised of compatible flora and substrate. While it makes sense to then put an animal of the appropriate kind inside, this isn't at all necessary, and the vivarium tank itself can be an eye-catching representative of natural design. 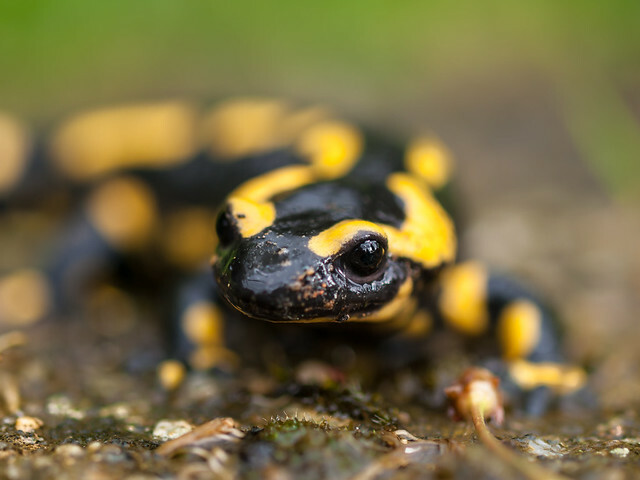 When it comes to the animals you can put inside a vivarium - should you choose to go that route - there are tiger salamanders, there are paddle tail newts, snakes of all kinds, tarantulas, there are frogs of any family, and relatively small reptiles and amphibians - depending on the size of tank you can support in your residence. To begin with, choose a good-sized tank. It should be enough so that you can lay out the design you have in mind with the available dimensions without cramping, or leaving too much space (any space, really). Next, you'll need a top with a net for external air to infiltrate the tank, along with a sunlamp - this is mostly for the plants and for your viewing pleasure, as many of the kinds of amphibians you would place inside a vivarium aren't too keen on a too much bright light. Your next step in securing an environment is to allow drainage; this shouldn't be too thick - maybe two inches at most - but not less than an inch. There is a range of materials that you can employ to serve as the drainage platform (clay, gravel, etc); just ask the expert at your local supply store. Since you will supply the vivarium tank with soil, you have to place something to keep this soil from escaping through the drainage panel. Additionally; you want to keep your vivarium looking both natural and functional, so most of an appropriate density - such as sphagnum - is good to use as a soil preservation layer. After this is secured; you add the substrate of your choosing. There are several minerals and nutrients you can mix in with the substrate (or just buy substrate with the stuff already embedded, like coco-fiber) to enhance plant growth for the native species you will introduce into the vivarium tank to make it look like a real ecosystem. Finally, you're at the stage where presentation is now your main concern. Using your flair for the artistic, arrange the rocks, caves, plants, water bowl, etc around the tank. 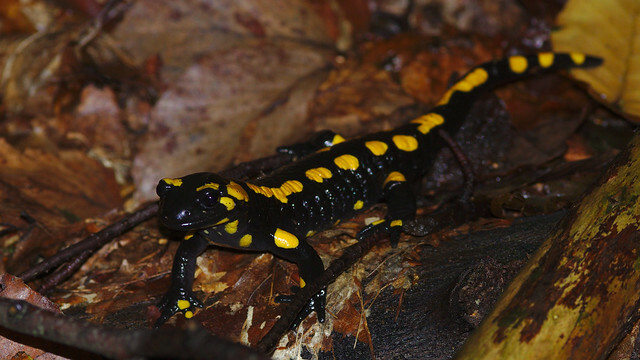 If you will later be placing fire salamanders, paddle tail newts, fire-belly newts, or something similar in your tank, make sure to construct shaded and dark areas to facilitate privacy - as these amphibians love to hide. Some would argue that they need to hide, in order to be happiest in their habitat. All that's left for your vivarium is the daily routine of upkeep, which won't be too strenuous at all. With animals and plants inside, the environment needs to be wet for best results, so mist it daily. If your tank isn't near a window in direct sunlight, then the hood-lamp or artificial sun lamp will need to be kept on for 6-8 hours each day, and cleaned lightly once a week. A full cleaning of waste build-up needs to be carried out about ten times a year. Tim runs and operates a pet shop that specializes in salamander vivariums for reptile and amphibian enthusiasts. With help from a few dedicated clerks and suppliers, he maintains a high quality of life for the animals in his vivarium tanks until they are either purchased or returned to the wild. For more tips on vivarium building and maintenance, check out his main store in the link above for instructions. Did you know that salamanders are one of the most unique creatures in the world? In fact, they have caught the interest of many people and most of them want to have one at home. If you are planning to get salamanders as a pet, but don't know much about them, then below are some of the important salamander facts that you would need to know. Salamanders are true amphibians. This is in contrast to what most people think that they are reptiles. Salamanders belong to the order Caudata and have similar characteristics with the lizards. They exist in an average of 500 species with a huge group located across Northern hemisphere. But, since they live in a secretive way, they are rarely seen in an open viewpoint. The name "salamander" is rooted from the Ancient Greek word, Salamandra. The early people have considered salamanders as mythical creatures of fire because they would all of a sudden show up from flames. On the other hand, this primitive amphibian is also thought as one of the earliest living vertebrates on earth. As a matter of fact, they also show evidence of life's evolution on land. Most of the salamanders are ranging from 10 to 20 centimeters. These cold-blooded animals have tails and four legs. Their front legs have four toes while their back legs have five toes each. Like other amphibians, they normally have smooth skin since they thrive on water and moist areas. Their color varies extensively. Some species have bright colors and beautiful spots of orange, yellow and red. Some of these amphibians have gills and others have lungs. However, some species also have both lungs and gills while others do not have either one of them. Mainly, there are three types of salamanders based on their habitat. They can be terrestrial, aquatic, and semi-aquatic salamanders. Some salamanders live most of their life in water while others prefer it on land. Also, some of them may be adjusted to fit both land and water. This is the reason why you need to take note of your salamander species and create the right habitat that will replicate their home in the wild. Salamanders grow and develop in the process of metamorphosis. Their life starts as a larva and grows into an adult salamander after a few days or years depending on which species they belong. Mature salamanders need to lay their eggs in moist areas for them to survive. Since salamanders are exotic and extraordinary animals, they need proper attention and care. Despite the fact that they can be found in different species, their population are massively deteriorating because of some reasons that scientists are not yet sure up to this time. Hence if you want to have a salamander as your pet, see to it that you will participate in the campaign in protecting their species from extermination. As a novice, you can ask for advice from experienced raisers and owners. You can also do your thorough research for you to know the right way of taking care of your salamanders. Salamanders are one of the animals that make up the Kingdom Amphibia, particularly the order Caudata. There are around 400-500 species known worldwide and some of them are mostly found in the temperate lands of tropical South, Central America and all over the Northern hemisphere. In the past, salamanders have spread out in regions like British Columbia and central Labrador. If you want to know more about them, then below are some of the interesting facts about salamanders. Salamanders vary in sizes. Some may only reach the size of 3.9 cm while others may reach up to the size of 180 cm. One of the smallest salamanders is the 4-toed salamander (Hemidactylium scutatum) that only reaches 5-9 cm. On the other hand, one of the largest is the mudpuppy (Necturus maculosus) that may reach a length of 43 cm. Salamander's life span also varies. The Chinese giant salamander can live for about 52 years while other salamanders may only reach a year or two. Salamanders closely resemble the lizards. That is the main reason why they are typically mistaken as lizards. However, salamanders do not have the characteristics that lizards have. For example, salamanders do not have claws. Also, they have moist skin compared to lizards that have dry and scaly skin. Generally, salamanders can't hear sounds; instead, they depend on the vibrations that they sense in the environment. These creatures are also voiceless, although some species have the ability to produce soft squeaks. Some of these species breathe through their pair of nostrils, while others breathe through gills or skin, or at times in combination. They often have movable eyelids and fine teeth. Their heart consists of 2 atria and one ventricle, making it a 3-chambered organ. Salamanders hibernate every year in order to survive. Since they cannot endure extremely cold temperatures, they need to dig underground. Aquatic salamanders are generally active at any time of the year while terrestrial salamanders are only active during night time, or when the land is moist or damp. Temperate seasons or warm period may immediately cause them dehydration. There are two ways on how the eggs of the salamanders can be fertilized. It can be through external or internal fertilization. Internally, the male will drop jellylike capsule of sperms and the female will eventually take up these sperms through the lips of the cloaca. The eggs are fertilized as they are pushed out. On the other hand, external fertilization occurs when the egg is already outside the salamanders' body. Generally, salamanders are carnivorous. Bigger salamanders are fond of eating earthworms and larvae of insects. Smaller species like small insects and small invertebrates while salamander larvae eat tadpoles. Salamanders are considered as great benefit in the field of agriculture and forest industry since they consume harmful insects that may destroy crops and plants. Salamanders are maintaining the balance of the food chain just like what other animals do. Without them, a break in the food chain can happen and problems related to plant industry may arise. Salamanders today are continuously decreasing in number since a lot of universities and research laboratories catch them and make them subjects in their studies. That is why local laws are protecting these salamanders in order to keep their numbers in the wild. Take your part in the campaign of saving salamanders. Read more information about salamanders so you will know how to care for them properly. Salamanders are interesting pets to keep. If you want to know more about salamanders , then visit our site at [http://www.salamandercare.com]. Get your own FREE mini-course on salamander facts when you sign up at our site.